If you are moving to Spain permanently with your children, you will need to understand the education system. Schools in Spain generally provide a good standard of education, which has improved in recent years. There are different options available for schooling, including state, private and international schools. 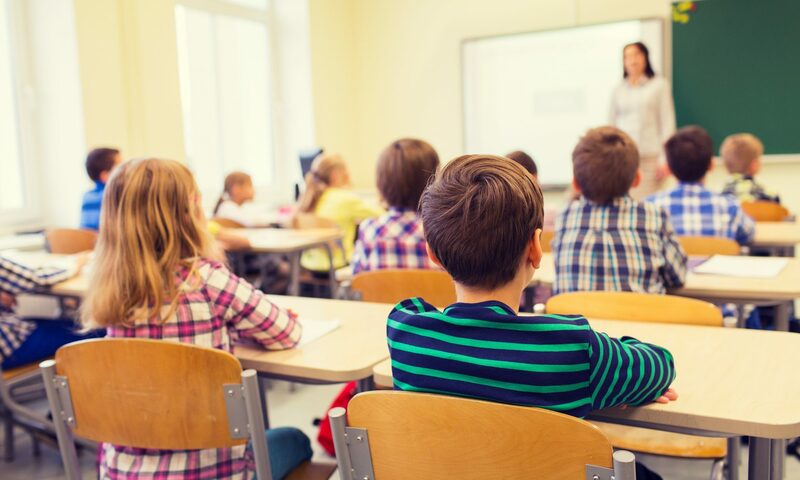 Schooling is mandatory from the age of six to 16, with most parents sending their children to preschool and kindergarten from the age of three. Spanish schooling begins with primary school (primaria) from six to 12, followed by secondary school (Educación Secundaria Obligatoria, or ESO) from 12 to 16. At the end of secondary school, students receive their Certificate of Education. This is followed by the bachillerato, although this is no longer compulsory. Generally speaking the school year is divided into three terms, with a long summer holiday break. The winter term runs from September to December, spring from January to Easter, and summer from Easter to June. Primary school days will usually run from 0900 to 1200 and 1500 to 1700. Secondary school days will run from 0800-1500 or 0800-1400 and 1530 to 1700. Schools in Spain generally provide a good standard of education. Most primary schools take children from the age of three, while there are some exceptions. Entry also depends on the catchment area in which they live, making it important to think about the schools before you buy in Spain. Some state primary schools will only teach in the local dialect, rather than Spanish. For expats this is important because it will mean your children learns the regional dialect before regular Spanish. Most children will probably master both as part of their general schooling. All towns and cities will have at least one secondary school. The standard of teaching is generally good and the curriculum impressively rigorous. Secondary schools will also teach subjects in the regional dialect rather than Spanish. This can create problems because your child will have to learn two languages. It’s important to research secondary schools thoroughly. One of the best ways to discover good secondary schools is through personal recommendations. Estate agents will also be able to provide you with information. Entry to a school will depend on the catchment area. Having successfully completed secondary school students will receive a Certificate of Completion of Secondary Education (Título de Graduado en Educación Secundaria). If they have not been successful, they will receive a Certificado de Escolarización. If they achieve their Certificate of Completion of Secondary Education, they have several options. They can leave school or continue their education by studying for the Bachillerato or a vocational course. One of the best ways to discover good secondary schools is through personal recommendations. The Bachillerato takes two years and is roughly equivalent to the UK A-Levels – but is seen as more rigorous. Students can take a Bachillerato focused on a particular area of study, such as arts or sciences. Around nine subjects are studied, each contributing to the final mark. Having passed the Bachillerato, the student can take university entrance exams. Along with the actual Bachillerato result, this will define what they can study at university. A vocational course, or ciclos fomativos, is intended to provide training for practical skills. Each course last four years and the qualifications are recognised across Spain. The first two years of this course provides basic training, while the second level can only be started at the age of 18. State universities provide a degree or diplomatura and professional qualifications. Polytechnic universities tend to focus on sciences. This system is in the process of being harmonised with the rest of Europe. This will result in three to four year degrees and two year Master’s qualifications. The majority of private schools in Spain are co-educational Catholic day schools. There are also fully independent international schools. Most teach the bachillerato and are state-subsidised, meaning they follow the Spanish state-school system. Fees vary considerably, depending on the quality, reputation and location of a school. Generally they will be lower than the cost of private education you will find elsewhere. Some expats in Spain may consider sending their children to an international school, to study the international baccalaureate. These are very expensive, costing between €300-1000 per semester. Spain’s international schools are highly regarded, and typically cater for American, British, German and French curriculum’s. Under Spanish law all of these schools must be approved by their country’s embassy in Spain. There is a good selection of these schools in Madrid, Barcelona, Palma de Mallorca, Tenerife, and on the costas. They will give the students the chance to learn Spanish (and occasionally Catalan) to a high degree.